Where to Locate Tethered Aerostats for an Effective Surveillance System: A Case Study on Southern Turkey. Illegal immigration and terrorist activities draw attention on border security. One of the current systems used for reconnaissance and surveillance on border security is Aerostat. Due to high investment cost, a considerable planning period is required before implementation of these systems. In this study; considering project budget, camera sensor capabilities, geographical analysis data and appropriateness parameters of candidate locations, three scenarios are developed for the site selection problem of Aerostats on southern Turkey. Goal Programming approach including Set Covering Algorithm and fuzzy-TOPSIS is applied and the results are tested with Viewshed Analysis. The test results provide important recommendations for countries planning to use these systems. Hakimi S.L., “Optimum locations of switching centers and the absolute centers and medians of a graph”, Oper. Res., 450-459, (1964). Church R., Revelle, C., “The maximal covering location problem”, Papers, Regional Science Association, 32, 101-118, (1974). White J., Case K., “On covering problems and the central facilities location problem”, Geographical Analysis, 6, 281-293, (1974). Gary, M.R., Johnson, D.S., Computers and Intractability: A Guide to the Theory of NP Completeness, W.F.Freeman and Co., (1978). Schilling, D.A., “Dynamic location modeling for multisector facilities: a multi-criteria approach”, Decision Sciences, 4, 714-724, (1980). Boeffey, B., Narula, S.C., Multiobjective Covering and Routing Problems , Essays In Decision Making: A Voluma In Honor of Stanley Zionts, Berlin: Springer., (1997). Megiddo, N., Zemel E., Hakimi S.L., “The maximum coverage location problem”, SIAM Journal on Algebraic Discrete Methods, 4(2), 253-261, (1983). Mehrez A., Stulman A., “The maximal covering location problem with facility placement on the entire plane”, Journal of Regional Science, 22(3), 361-365, (1982). Schilling, D.A., Jayaraman V., Barkhi R., “A review of covering problem in facility location”, Location Science, 1(1), 25–55, (1993). Farahani, R.Z., Asgari, N., Heidari, N., Hosseininia, M., Goh, M., “Covering problems in facility location: a review”, Computers and Industrial Engineering, 62, 368-407, (2012). Sherali, H.D, Kim, S., Parrish, E.L., “Probabilistic partial set covering problem”, Naval Research Logistics, 38:41–51, (1991). Galvao, R.D, Revelle C., “A Lagrangean heuristic for the maximal covering location problem”, Eu. J. Oper. Res., 88:114-3, (1996). Karasakal, O., Karasakal E.K., “A maximal covering location model in the presence”, Comp. and Oper. Res., 31, 1515-1526, (2004). Revelle, C., Scholssberg, M., Williams, J., “Solving the maximal covering location problem with heuristic concentration”, Comp. and Oper. Res., 35, 427-435, (2008). Paolo, D.O., Nicolette, R., Sgalambro, A., “A multiperiod maximal covering location model for the optimal location of intersection safety cameras on an urban traffic network”, Social and Behavioral Sciences, 108, 106-117, (2014). Fowler R.J., Paterson M.S., Tonimoto S.L., “Optimal packing and covering in the plane are np-complete.”, Inf:Proc.Lett.,12(3), 133-137, (1991). Tanergüçlü, T., “Selection of 35 mm. oerlikon batterys' optimum positions at air defence of fixed points”, Msc.Thesis, National Defense University TMA, Ankara, (2004). Gencer, C., Açıkgöz, A., “Reorganizing the location of Turkish Army Force SAR stations”, J. Fac. Eng. Arch. Gazi Univ., 21(1), 87-105, (2006). Ayöperken, E., Ermiş, M., “Modeling and optimizing the bases of unmanned aerial vehicles as a set- coverage problem”, J. Aeronautics And Space Technologies, 5(1) 61-71, (2010). Carlığoğlu, S., “Relocation of the Turkish Naval Forces shore surveillance radars in Aegean Sea”, Msc. Thesis, Gazi University, Ankara, (2005). Kress M., Royset J.O., “Aerial search optimization model (asom) for uavs in special operations”, Phd. Thesis, Naval Postgraduate School, Monterey, CA, (2007). Kurban Ö.F., Can, T., “Allocation of mini unmanned aerial vehicles for urgent ISR request”, Phd. Thesis, Marmara University, İstanbul, (2016). Young-Hoon, K., Sanjay, R., Steve, W., “Exploring multiple viewshed analysis using terrain features and optimisation techniques”, Computer and Geosciences, 30, 1019-1032, (2004). Hussein, M., Schwartz, F.W., “Application of terrain analysis and gis to the construction of hydrologic databases: a case study”, Environmental and Engineering Geoscience, 3(4), 549-562, (1997). Hwang,C.L., Yoon, K., Multiple Attribute Decision Making, Springer-Verlag, Berlin, (1981). Chen,C., “Extensions of the TOPSIS for group decision-making under fuzzy environment”, Fuzzy Sets and Systems, 114, 1-9, (2000). Kutlu, A.C., Emekçioğlu, M., “Fuzzy failure modes and effects analysis by using fuzzy TOPSIS-based fuzzy AHP”, Expert Systems with Applications, 39(1), 61-67, (2012). Delice, E.K., “A fuzzy multicriteria model for airline companies selection”, J. Fac. Eng. Arch. Gazi Univ., 31(2), 263-276, (2016). Kılıç, O., Çerçioğlu, H., “Application of compromise multiple criteria decision making methods for evaluation of TCDD's railway lines projects”, J. Fac. Eng. Arch. Gazi Univ., 31(1), 211-220, (2016). Iç, Y.T., Tekin, M., Pamukoğlu, F.Z., Yıldırım, S.E., “Development of a financial performance benchmarking model for corporate firms”, J. Fac. Eng. Arch. Gazi Univ., 30(1), 71-85, (2014). Stimers, M., Lenagala, S., “The Analytic Hierarchy Process in GIS-Driven Military Operation Base Selection: A Case Study in Sri Lanka”, J. Def. Manag., 7:157, (2017). Kahraman, C., Çevik, S., Ates, N.Y., Gülbay, M., “Fuzzy multi-criteria evaluation of industrial robotic systems”, Computers & Industrial Engineering, 52, 414–433, (2007). Nadaban, S., Dzitac, S., Dzitac, I., “Fuzzy TOPSIS: A General View”, Information Technology and Quantitative Management, 91, 823-831, (2016). Charnes, A., Cooper, W.W., Management Models and Industrial Applications of Linear Programming, Wiley, New York, (1961). Gass, S.I., “A process for determining priorities and weights for large-scale linear Goal Programmes”, J. Oper. Res. Soc., 37, 779-785, (1986). Jones, D., Tamiz, M., Practical Goal Programming, Springer, New York, ABD, (2010). Özcan, E.C., Erol S., “A multi-objective mixed integer linear programming model for energy resource allocation problem: the case of Turkey”, J. Fac. Eng. Arch. Gazi Univ., 27(4), 1157-1168, (2014). Karaman, B., Çerçioğlu, H.,), “0-1 Goal programming aided AHP – VIKOR integrated method: an application of hospital investment project selection”, J. Fac. Eng. Arch. Gazi Univ., 30(4), 567-576, (2015). Farahani, R.Z., M.Steadie, S., Asgari, N., “Multiple criteria facility location problems: a survey”, Applied Mathematical Modelling, 34, 1689-1709, (2010). Göçken, H., Ağpak, K., “A Goal programming approach to simple U-line balancing problem”, Eu. J. Oper. Res., 171,577–585, (2006). Çil, Z.A., Mete, S., Ağpak, K., “A Goal programming approach for robotic assembly line balancing”, IFAC-Papers OnLine , 49 (12), 938–942, (2016). Cristobal, J.R.S., “A Goal programming model for the optimal mix and location of renewable energy plants in the north of Spain”, Renewable and Sustainable Energy Reviews, 16, 4461–4464, (2012). De, P.K. , Yadav, B., “An algorithm to solve multi-objective assignment problem using interactive fuzzy goal programming approach”, Int. J. Contemp. Math. Sciences, 6 (34), 1651 - 1662, (2011). ISNAD YILMAZ, Nahit , GENCER, Cevriye . "Where to Locate Tethered Aerostats for an Effective Surveillance System: A Case Study on Southern Turkey.". 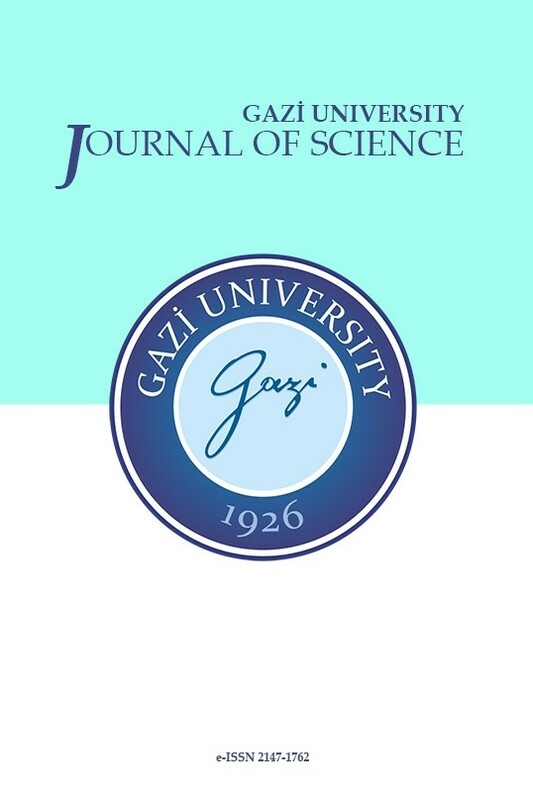 GAZI UNIVERSITY JOURNAL OF SCIENCE 31 / 1 (March 2018): 189-200.